Palm Beach Fabrics is your source for the most beautiful decorative home fabrics, the top wallpaper brands, finest workroom services and superior customer service. Although Palm Beach Fabrics has a wide variety of fabrics from traditional to contemporary, we specialize in the coastal and tropical looks. We carry all types of fabrics for the home. Palm Beach Fabrics offers all fabrication services, which include reupholstery, window treatments, bedding, cushions, pillows, cornices, headboards and more. Due to the renewed popularity of wallpaper, Palm Beach Fabrics is now offering a selection of the top brands of wallpaper including Thibaut, Candice Olson, Ronald Redding, York and others. The owners of Palm Beach Fabrics, Madeline and Gene, have over 30 years of combined experience in the fabric industry. They are hands-on owners and assist customers in bringing design concepts to life. Palm Beach Fabrics carries only first quality fabrics — never any seconds. They purchase all fabrics, trims and drapery hardware stocked in the store directly from the mills guaranteeing the highest quality at the best price. Whether you’re looking for fabric for your own home, are an interior designer or decorator, or in need of fabric and workroom services, Palm Beach Fabrics is the place to shop. Palm Beach Fabrics is your source for the most stunning decorative home fabrics, premium workroom services and superior customer service. Quality and value is what Palm Beach Fabrics offers to each and every customer. Come in today with your idea and you will leave with custom-made draperies, upholstery and bedding designed just for you! Palm Beach Fabrics carries all of the top brands of designer wallpaper. Whether you are completely remodeling your entire home or you just need wallpaper for one wall in a room we are the wallpaper store for you. 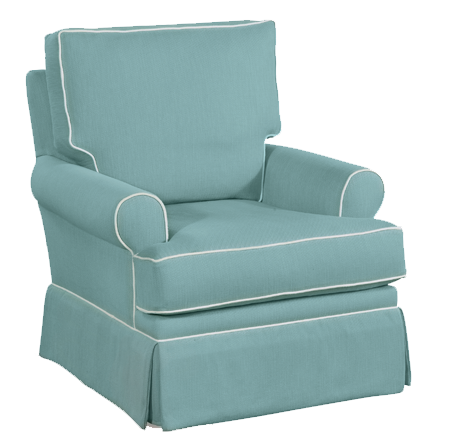 Two factors that need to be considered when choosing upholstery fabric are durability and color. Most people start with choosing color but knowing the durability of the fabric is also important. We carry a wide selection of upholstery fabric with a variety of colors and designer patterns to choose from and will assist you in choosing the correct fabric for your application. Draperies are an important element in your home. They offer privacy, can help you keep energy costs down and even brighten up your day. Designer Fabrics for draperies can change the entire look and feel of your home. We carry the finest drapery fabrics. Come see what we have in Juno! Not all outdoor fabrics are the same and several brands stand out because of their quality. These outdoor fabric brands have stood the test of time. Two of the most popular outdoor fabric manufacturers include Sunbrella and Outdura. We carry both of these brands in addition to many other types of outdoor fabric including solution dyed acrylic, outdoor polyester and marine vinyl.